Seven hundred towels were donated by Fresh Fields, the linen and catering manager for health and aged care group Hall & Prior. 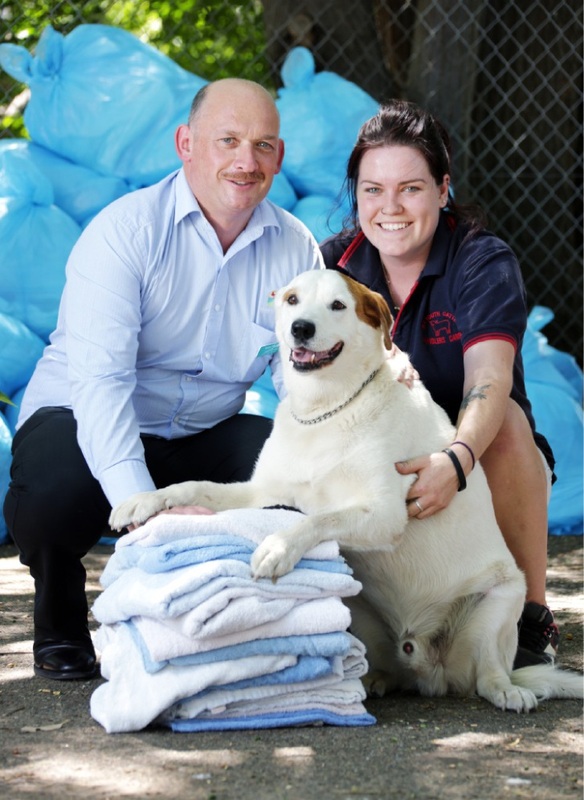 Fresh Fields operations manager Kevin Fitzgerald delivered the towels to the Swan Animal Haven on Thursday. “In an average year, we wash more than 500,000 towels, along with more than a million face cloths and more than 160,000 bed sheets,” he said. Hall & Prior chief executive Graeme Prior said he was pleased to help the rescue organisation. “With our Midland home, Tuohy Aged Care Home, so close to this refuge, it really is a case of helping the community we are part of,” he said.